This is the only photo I can find of the mirrored daybed pocket doors. Each mirrored door slides into the pocket in the wall. The mirrors are made to pivot so the Director of photography and their lighting team can pivot them to not see cameras or lights. 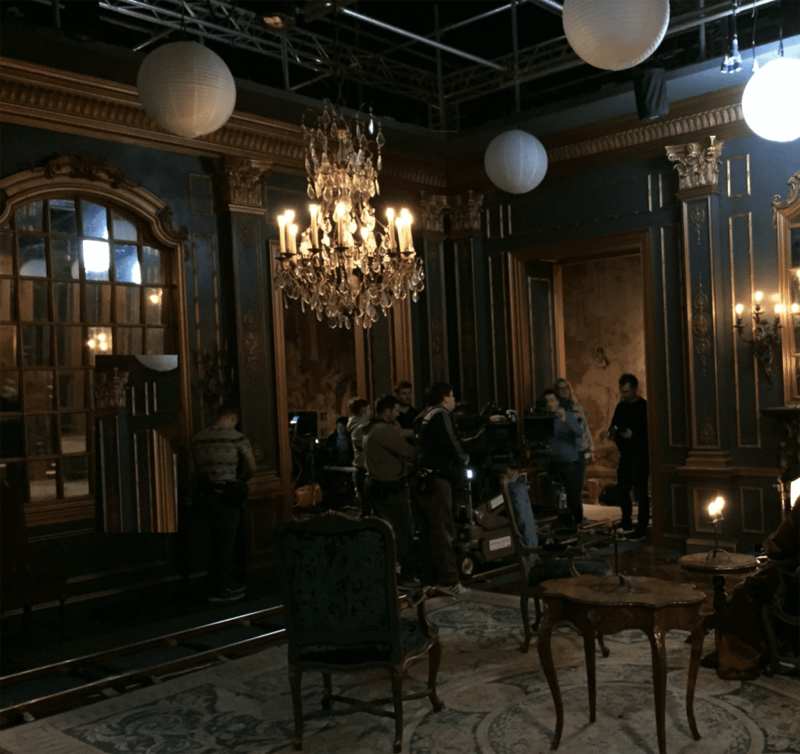 I love using mirrors on sets but some DP’s do….some don’t.